After 13 successful years in business, partners Steve Shulfer and Brad Koning are pleased to announce that Shulfer Architects, LLC is now “Sketchworks Architecture, LLC”, effective August 1, 2017. This identity change has been an evolutionary process for several years. It is important for our associates, clients and friends to understand that while founded by Steve Shulfer in 2004, Shulfer Architects is not, and never has been, about a single namesake. We are an assemblage of bright, experienced, and skilled professionals. We seek to solidify this identity for both now and the future as we continue to prosper and add professionals to our team. We felt that a name change was necessary to better communicate our true brand. 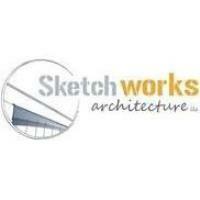 Why did we choose "Sketchworks Architecture"? After many meetings, searches, and discussions; it became clear that our new name should represent the design process most recognized to develop the innovative solutions that we embody. “Sketch” is the first step towards any design. We value the free thought and creativity of the sketch, unrestricted by convention yet beckoned to refinement by technical skill, budget, and regulatory boundaries. “Works” represents the foundry, the artistry and the production of the final design output. Used as a noun or a verb, it equally suggests the very process and design deliverable, creating Innovative Solutions with Impeccable Client Service. Sketchworks Architecture will remain co-owned by partners Steve Shulfer and Brad Koning, with a host of talented design and administrative staff. Please note that we are not changing the legal structure of our entity, only the name of our business. We look forward to continuing to demonstrate the proficiency and professionalism of the firm, while growing our portfolio and progressively enhancing our expertise. We look ahead to furthering our valued relationships as Sketchworks Architecture, LLC, and invite you to contact us to discuss this exciting evolution.